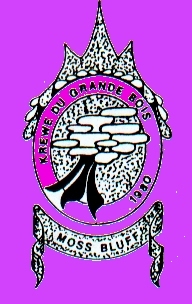 Berk and Pat Fontenot founded the Krewe du Grande Bois in 1980. A charter was formed with 50 members. The First Annual Pageant and Ball was held Friday, February 27th 1981 at the Habibi Temple with Vic and Terry Stelly reigning as King and Queen. Berk Fontenot served as Captain of this first ball. The Krewe kicks off the season with a Kings Cake party hosted by the reigning King and Queen, which has been a tradition since inception. bar-be-que in summer and several house parties throughout the year to keep friendships intact. 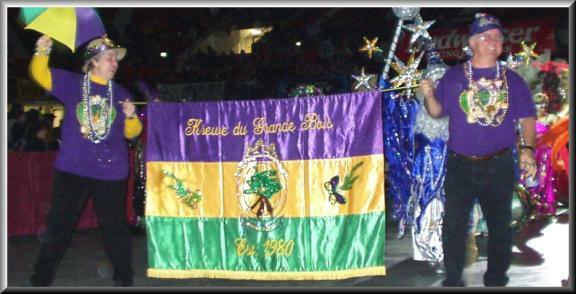 Krewe du Grande Bois is proud to have a membership of over 90 couples.